The Sean McGrath family sells themselves and their ranch environment. Every day. Like a lot of western ranches, warm hospitality at the McGrath family's Round Rock Ranching outside Vermilion Alberta is a given. On any day it is not uncommon to see clients arrive and for family members to connect in various ways with people from a wide group of contacts. 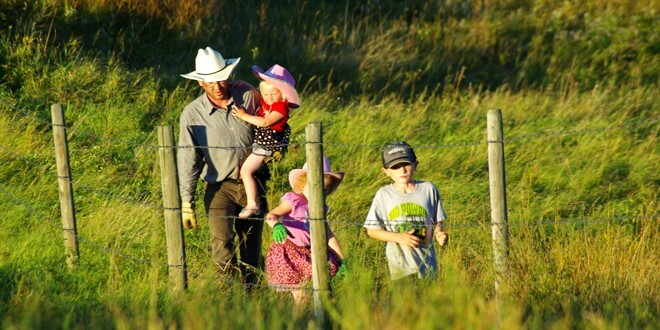 Sean McGrath thinks that the same philosophy of openness that has been such an integral part of western rural lifestyle in the past is exactly what is needed to be successful in the ranching business of the future. Be prepared for anybody to show up at any time. And be prepared to make them welcome. "We sell ourselves," he says, as he explains the ranch's business philosophy. "When our customers ask about how we do things, we always say they are welcome to come and see for themselves. We would not be afraid to have any of them show up and ask to see how we carry out our business." The family ranch will mark its 105th birthday this year. That makes Sean McGrath the fifth generation to ranch this land and he's quick to tell you that he would be proud to have his children be the sixth. It's exactly the kind of grass roots heartwarming image that agriculture today likes to promote. If this ranch business approach is a successful business model for the future, McGrath thinks one reason is the ability to innovate. Another is to embrace the best of the past while linking to the opportunities of future. "My Dad was always innovating," he says. "He was one of the first to use electric fencing to manage grazing. Today, that thinking is the basis of our advanced grazing system. And he still gets up in the morning feeling passionate about the industry." "We are kind of 'oyymoronic'," he chuckles. "We run our operation with a combination of very old world approaches and absolute leading edge technology. For example, we manage cattle on horseback and our year round grazing system is run the natural way animals were handled when cattle first were introduced to the range. "But on the other hand, to meet the needs of producing beef today we have full information on our entire herd including having DNA on all of our cows on file in the lab in Saskatoon." No success under this model will occur without a strong, clear land management philosophy. "We like to say we have a kinship with the land," says McGrath. "Our business focus is cows and everything we do ties back to the land and to adding value." For example, rather than harvest feed, haul it to cattle, then haul the manure away, the ranch has developed what they call a high performance grazing system. Cows graze year round on native range, supplemented by swath grazing in the heart of winter, and if needed a few weeks of feed. That winter feeding would be an exception. Industry programs help build their brand. 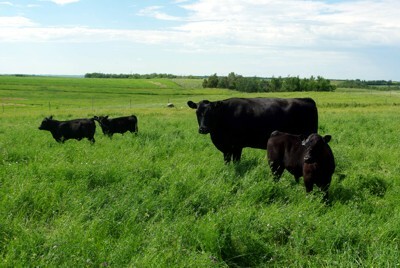 The ranch is on the Verified Beef Production program, the Canadian beef on-farm food safety program. That program gives customers proof of management efforts such as drug use and withdrawal. "We did an Environmental Farm Plan (EFP) when they first came out and when we make ranch changes today, we still go back and reference that workbook. If we take over new rental land we use that framework to manage it." The EFP process was really useful in planning, says McGrath. "It catches a lot of things that you just don't think about. Like above ground fuel tanks that have been there for so many years they are just accepted as part of the place and you don't really think about them." "We don't do these things because there is funding available, but if funding is available it often helps. This past year, for example, we made some improvements and funding was available. An EFP was required to qualify." 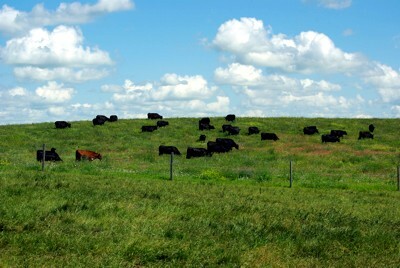 The ranch is also involved in a new project, called Alternative Land Use Services (ALUS), a voluntary, incentive-based, private land conservation project that pays landowners and farmers to maintain and enhance the natural assets that they manage. The McGrath ranch is one of a series of pilot sustainability projects across Canada. "We needed an EFP to participate in this ALUS project. That's just one way that EFP has opened up opportunities for us." The biggest challenge in sustainability is finding mechanisms that reward producers, says McGrath. "We know that biodiversity, great views and clean water benefit the public but how do we facilitate the public funding that. The ALUS project is trying to develop that." More information on EFPs in Alberta is available at www.albertaefp.com.